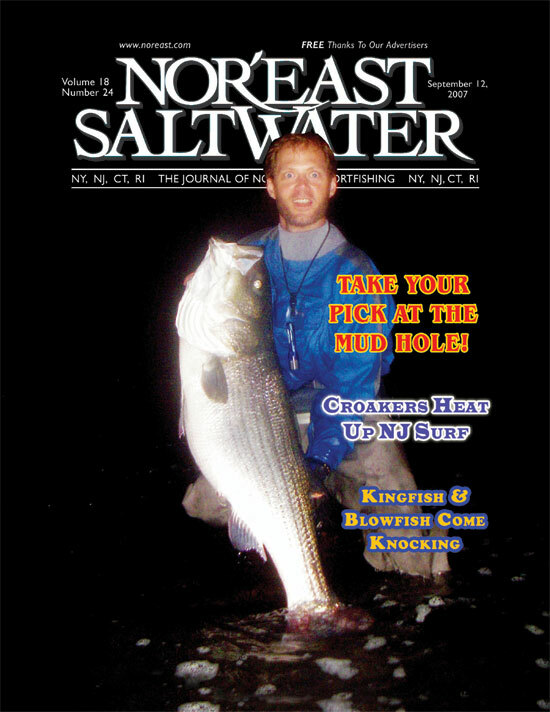 There is nothing better when a customer makes the cover of Nor'east Saltwater Magazine! 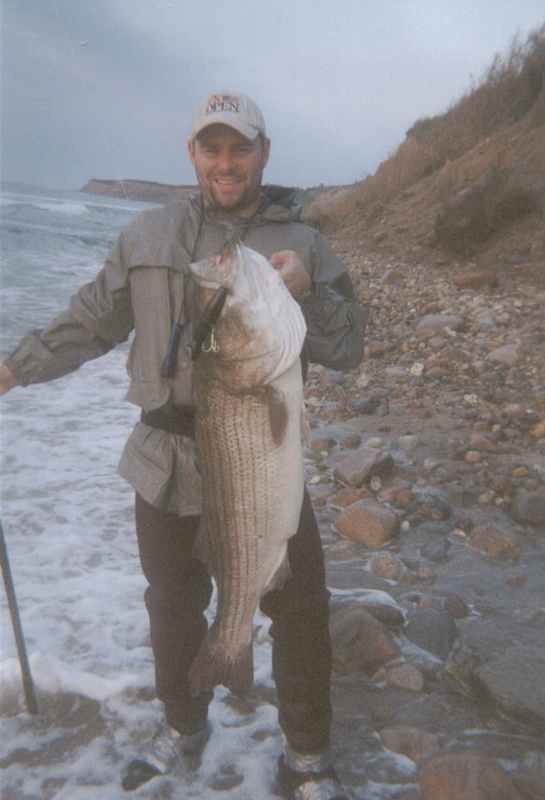 The Right Choice at the right time put smiles on the face of this caster during Trophy Trip. 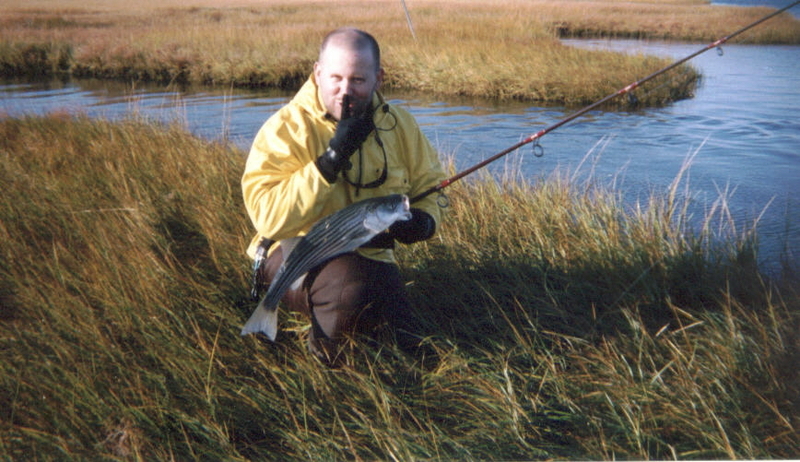 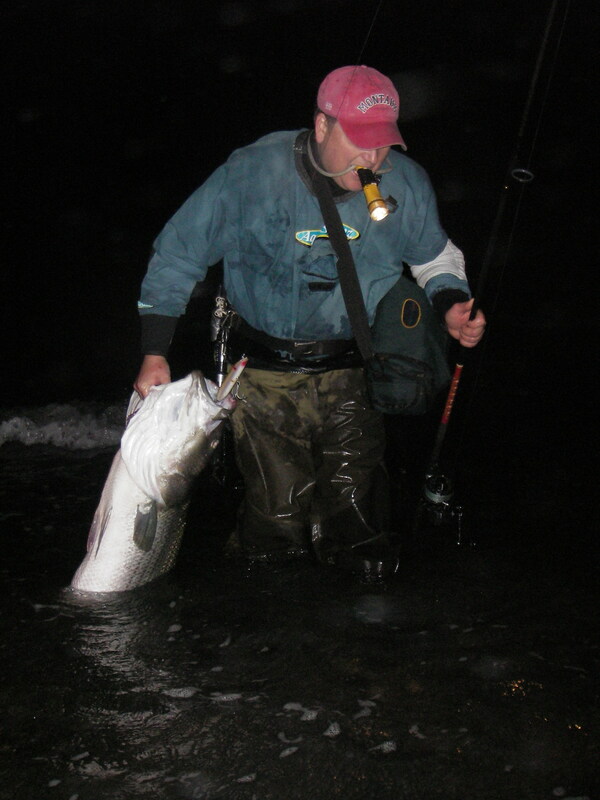 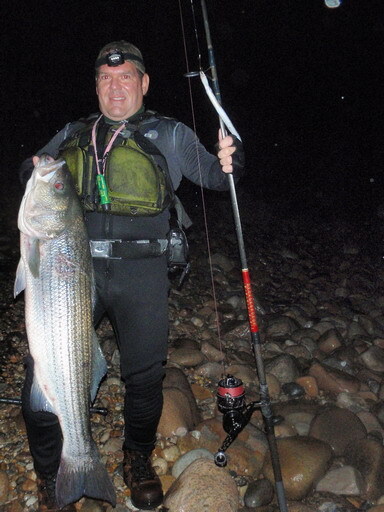 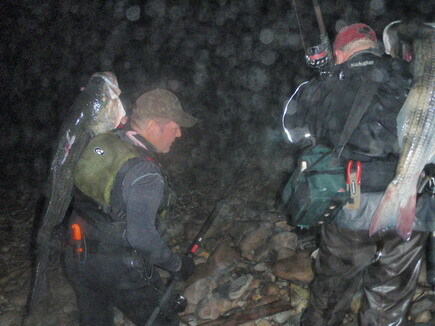 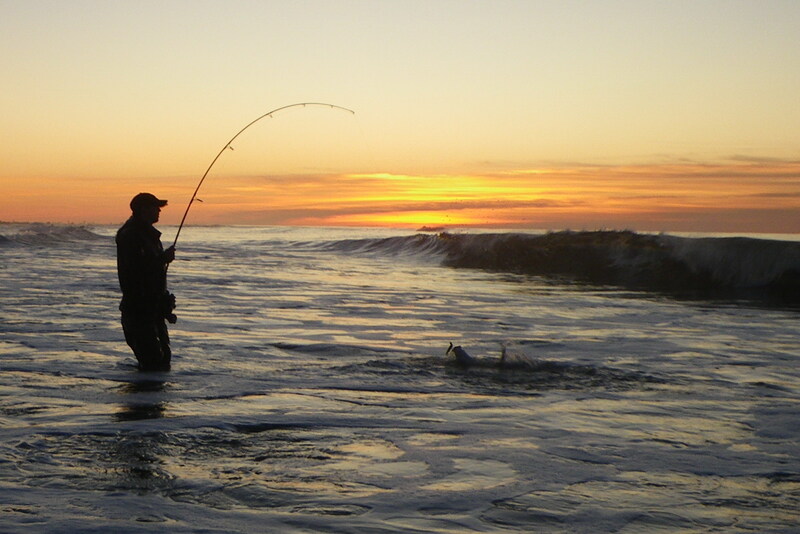 Bill Wetzel - "Your Guide Hard at Work"
A nice 30+ striper during a trophy hunt got this caster pumped. 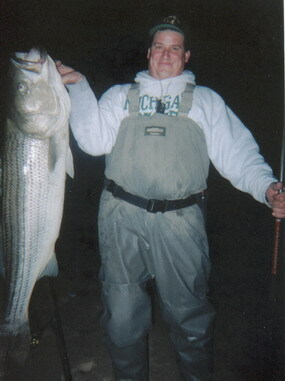 The mile walk back with his trophy proved to be some work. 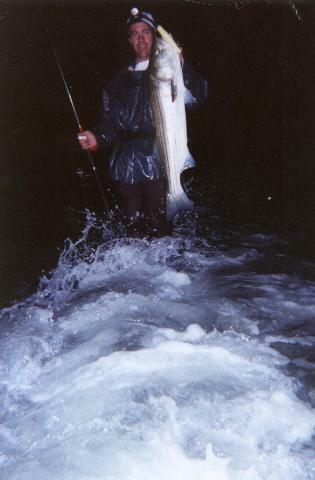 Hee hee!! 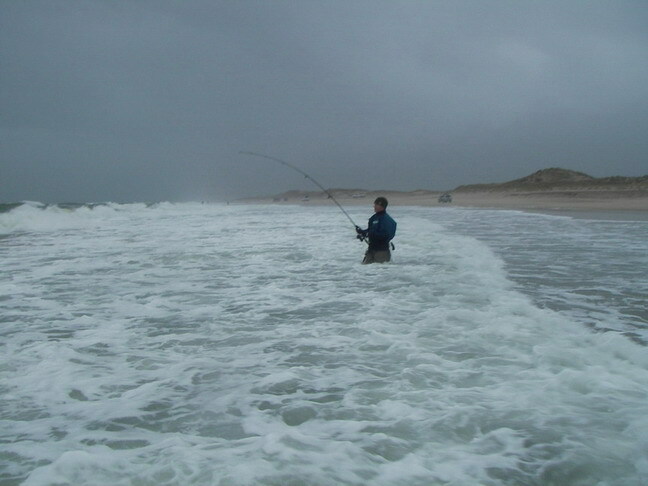 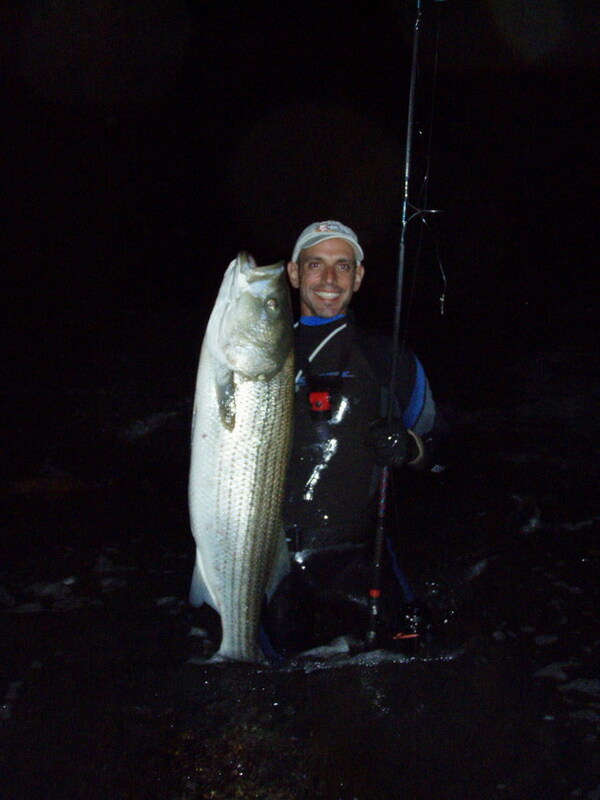 A Thick Striper deeeeeeeeep on the south side of Montauk had this customer in smiles! 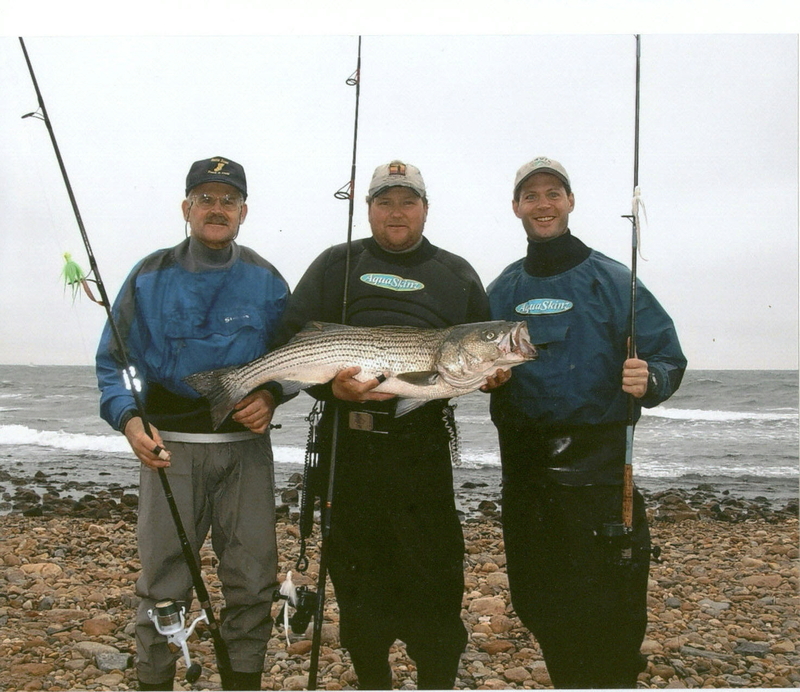 A dad, their guide, and a son on a good day.